Puerto Vallarta, Mexico (September 24, 2018) - Velas Resorts in Mexico announces its properties in Los Cabos, Riviera Maya, Riviera Nayarit and Puerto Vallarta have been accepted into membership of Preferred Hotels & Resorts - the world's largest independent hotel brand that represents more than 700 distinctive hotels, resorts, residences, and unique hotel groups across 85 countries. The Grand Velas Resorts in Los Cabos, Riviera Maya and Riviera Nayarit are the newest experiences available within the brand's Legend Collection, the ultimate portfolio of exceptional properties in the most remarkable destinations of the world. Velas Vallarta, an oceanfront family-friendly resort in Puerto Vallarta, join's the brand's Lifestyle Collection, a diverse group of premier global properties offering engaging stays and memorable moments. Offering unparalleled all-inclusive experiences, Velas Resorts feature spacious accommodations, renowned spas, a unique culinary experience inclusive of 24-hour in suite service, fitness centers, personal concierge service, state of the art conference centers, extensive family programs, and more. Preferred Hotels & Resorts is the world's largest independent hotel brand, representing more than 700 distinctive hotels, resorts, residences, and unique hotel groups across 85 countries. Through its five global collections, Preferred Hotels & Resorts connects discerning travelers to the singular luxury hospitality experience that meets their life and style preferences for each occasion. Every property within the portfolio maintains the high-quality standards and unparalleled service levels required by the Preferred Hotels & Resorts Integrated Quality Assurance Program. The I Prefer℠ Hotel Rewards program, Preferred Residences℠, Preferred Pride℠, and Preferred Golf™ offer valuable benefits for travelers seeking a unique experience. For more information, visit PreferredHotels.com. 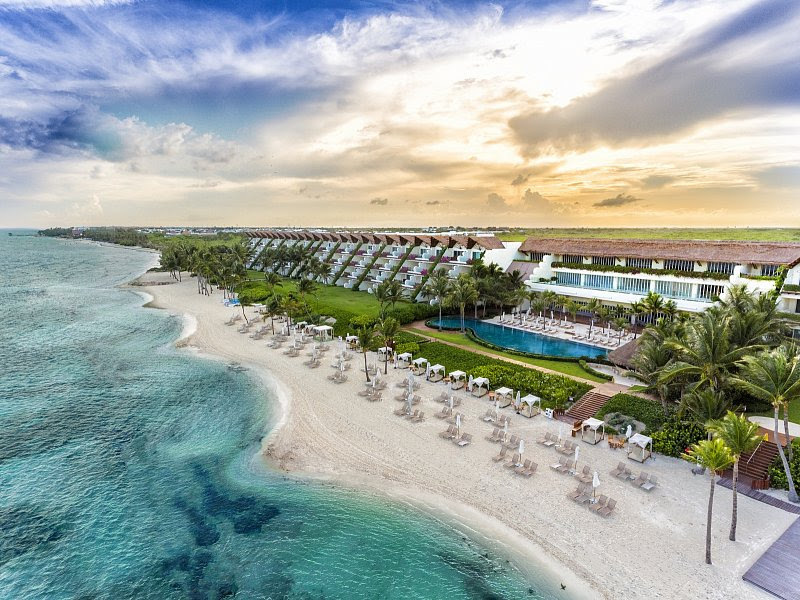 Offering unparalleled all-inclusive experiences, Velas Resorts in Riviera Maya, Puerto Vallarta, Riviera Nayarit and Los Cabos have earned 52 AAA Diamonds, including the prestigious Five Diamond Award. Other esteemed international awards for their services and facilities include Virtuoso's "Best Spa," Forbes' "Coolest All-Inclusives," Forbes' Four Star Award, and TripAdvisor's Hall of Fame, among others. Properties include the AAA Five Diamond Grand Velas in Los Cabos, with dramatic ocean views and unique spaces infusing every area of the resort; AAA Five Diamond Grand Velas Riviera Nayarit, which enjoys a privileged natural setting with flowering, landscaped gardens beside a long stretch of pristine beach and a dramatic backdrop of the Sierra Madre mountains; and AAA Five Diamond Grand Velas Riviera Maya, located five minutes from Playa del Carmen, offering a sophisticated all-inclusive resort experience in the Caribbean with jungle and beach settings. In Puerto Vallarta, Casa Velas is a boutique adults-only hotel and ocean club located on the Marina Vallarta Golf Course, and Velas Vallarta, a family-friendly all suites resort and spa located on Banderas Bay. Velas Resorts feature spacious accommodations, spas, a unique culinary experience at a selection of restaurants, 24-hour in suite service, fitness centers, personal concierge service, wedding inspections for couples, state of the art conference centers, extensive family programs, fully stocked mini bar and more. Eduardo Vela Ruiz, founder and president of Velas Resorts, operates Velas Resorts with brother Juan Vela, vice president of Velas Resorts, by his side. For reservations or more information, call 1-888-407-4869, email reservations@velasresorts.com or visit https://www.velasresorts.com.